Back of card: Based on the major arcana card, The Star, printed in sepia on white. A naked woman pours water from urns. The image is repeated, inverted, on the bottom, so these cards may be inverted. 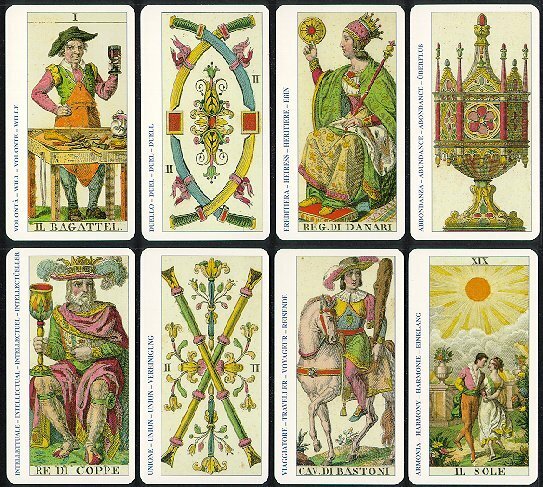 Comments: Another of the many variants of the Marseilles tarot deck. In this one, the cards are very nicely done, especially the major arcana cards.